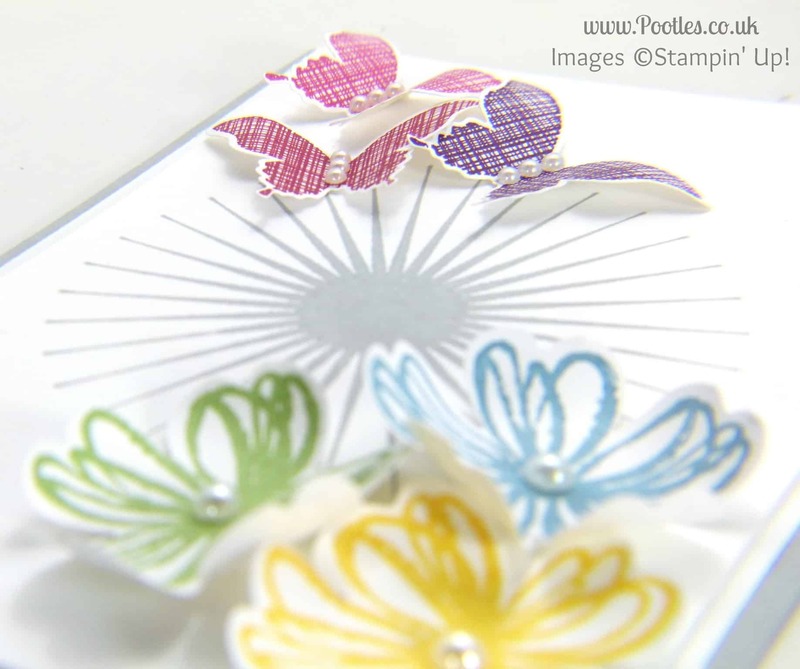 Butterflies and Flowers Card Inspired by…. Spoons?? Pootles Stampin’ Up! 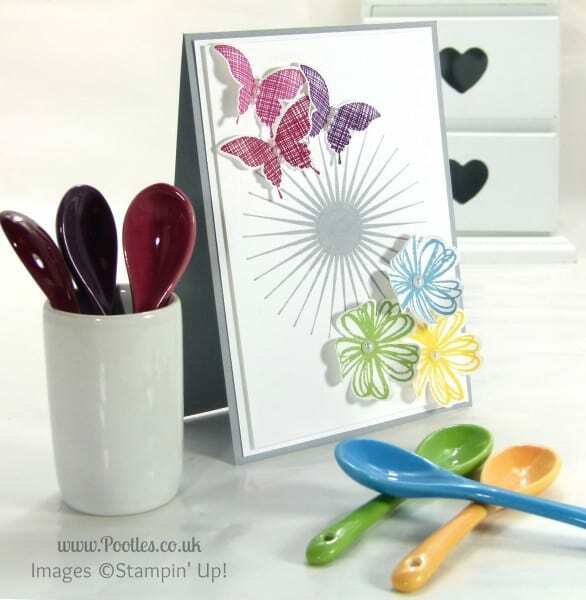 UK Butterflies and Flowers Card Inspired by…. Spoons?? Join NOW and get FREE Paper for 6 MONTHS! Click for more info!!! So it seems that Tuesday’s ‘inspired by candles‘ card was rather well received and I’m thrilled to hear that so many people are now wandering around their houses looking for inspiration! But it was while I was making that card, I decided to use a set of decorative spoons for my inspiration. I actually have 2 sets of these in little pots. Not identical, but very similar. However, the other ‘set’ fell over in it’s pot one day and 2 of the spoons smashed along with the pot. I was very sad. But these ones are intact and aren’t they just gorgeous? I’ve put colours together as closely as I can, but I will say that if anyone has Primrose Petals, a much loved but retired colour, I think that would be a slightly better ‘fit’ than the Rose Red that I used. I’ve used the Kinda Eclectic stamp set and Elegant Butterfly Punch for the butterflies and the centre Sun image, and then the Flower Shop stamps and Pansy Punch for the flowers at the bottom. My colours, ah, well as mentioned above, they’re not identical, but very very close! I have Cherry Cobbler, Rose Red and Elegant Eggplant for the butterflies, all from the Regals Collection. And then Daffodil Delight and Old Olive from the Brights and finished with Marina Mist from the Subtles.